Source: ActBlue.com for the period September 2nd-9th, 2007. Since he entered the race in June, Wiviott's campaign has been the beneficiary of a total of $28,434 donations across ActBlue pages, including $514 via the Beat Back Bush New Mexico page supported by New Mexico blogs Democracy for New Mexico and New Mexico FBIHOP. You can add to those totals by kicking in a few bucks right here. Don Wiviott will our special guest at the next Albuquerque DFA-DFNM Meetup to be held on Thursday, October 4th, at the Social Hall of the First Unitarian Church at Carlisle and Comanche. He'll be speaking to the group and taking questions. To RSVP for the Meetup or join the group and get on our email list, click here. Come on down and meet the candidate who just might be our next Senator from New Mexico. Click to read our previous posts about the New Mexico Senate race or visit our Beat Back Bush New Mexico archive to learn more about that ongoing effort. The chart below, provided by Swing State Project, ranks the top twenty Congressional candidate fundraisers on ActBlue through August in this election cycle. As you can see, NM-01 candidate Martin Heinrich ranks 14th, not bad for any candidate this early the race. In total, his campaign raised about $181,000 in the quarter that ended on June 30th from all sources, $31,000 more than the goal of $150,000 set by his campaign. Heinrich is running for a chance to take on incumbent Repub Rep. Heather Wilson. ActBlue.com makes online donations to Democratic candidates a snap. 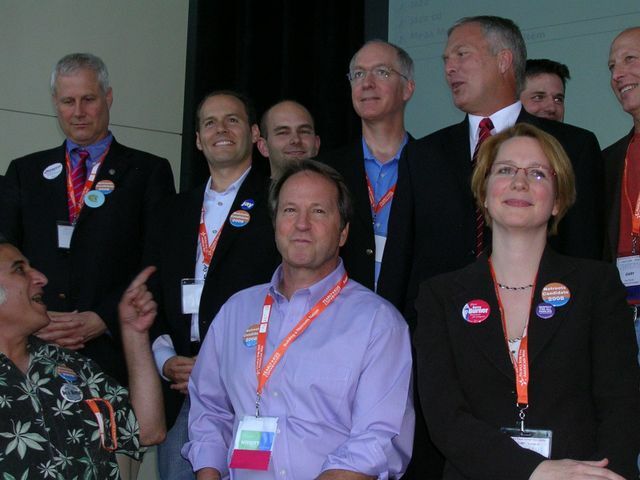 Used by supporters of netroots-grassroots candidates all over the nation, they've helped raise a total of $26,860,650 since 2004, mostly in small donations. Anyone can create a fundraising page, pubicize it and start raising donations, even very small ones, for a favorite candidate. The beauty of ActBlue is that it makes it easy for folks to donate to candidates anywhere in the nation who are attracting netroots support. In this way, we can have a real impact on races that feature strong, progressive candidates, whether they're running locally or in another district where we have a chance to pick up a seat. For instance, a recent effort using ActBlue called Burn Bush, propelled by blogs such as DailyKos, Eschaton, OpenLeft, MyDD, Firedoglake, SwingStateProject and other local and national blogs, raised more than $100,000 nationwide for netroots favorite Darcy Burner, running for Congress in WA-08. The blog-coordinated fundraising campaign was organized to counteract Bush's visit to the district to raise funds for Burner's Repub opponent and included an online townhall meeting with Burner and other creative elements. Working with local blogger , we tried a similar (but much smaller scale) ActBlue fundraiser here when Bush visited to raise bucks for Sen. Pete Domenici last month. Our Beat Back Bush New Mexico page raised almost $800 for Martin Heinrich and Dem Senate candidate Don Wiviott. In addition, our ongoing DFNM Netroots for Martin Heinrich effort at ActBlue has so far raised more than $900 for Heinrich's Congressional campaign. You can find the links near the top of our left-hand sidebar on our main page. Click and donate a few bucks to the cause -- it's that easy. 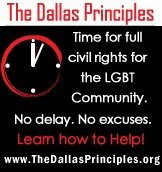 A couple of our previous posts on the Heinrich campaign's fundraising can be found here and here. 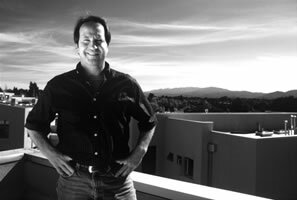 You can check out all our previous posts related to the NM-01 Congressional race at our archive. For our 2008 Senate race archive, click here. Take a Stand Day events coordinated by the Americans Against Escalation in Iraq's Iraq Summer campaign, MoveOn, TrueMajority Action, Working Assets and others are going around the nation today. Click to find one near you or set up your own. In New Mexico there are events set for Albuquerque, Santa Fe and Los Lunas. The New Mexico 'Iraq Summer' Campaign has been turning up the heat on Senator Pete Domenici and Congresswoman Heather Wilson all summer to start representing their constituents by voting for a safe and responsible end to the Iraq war. 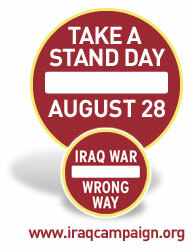 The campaign will come to a crescendo on Tuesday, August 28th: 'Take a Stand Day' –- when the campaign will host a public town hall meeting on Iraq in Albuquerque featuring veterans, military families, and community leaders. Invitations to the TAS town hall, which is already expected to draw hundreds of constituents, were ignored by Senator Domenici’s office and flatly rejected by Congresswoman Wilson’s. In response, the Iraq Summer Campaign will provide an empty chair for both Wilson and Domenici to highlight their disappointing lack of courage to face their constituents and explain their continued support for the President's costly and irresponsible policy of endless war in Iraq. 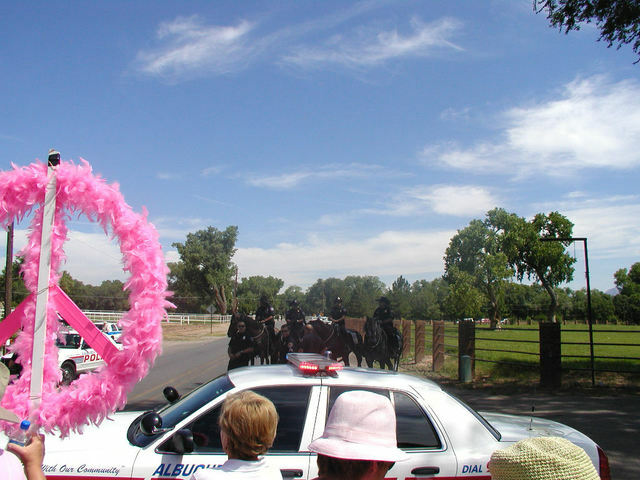 With U.S. forces stretched the breaking point policing a religious civil war that has no end in sight, New Mexicans deserve answers from their representatives in Congress. This historic forum comes on the heels of a startling pronouncement this month from Lt. Gen. Doug Lute –- a three-star general and President Bush's "War Czar" –- that a military draft is "on the table." This bombshell announcement followed recent statements by General David Petraeus -– the President's top military commander in Iraq -- that U.S. forces should stay in Iraq for another 9 or 10 years. In response, 'Take A Stand' participants will publicly ask Domenici, Wilson: Since you support Bush's endless war in Iraq, do you also support the draft needed to sustain it? If you'd like to do more to help defeat Domenici and Wilson in the 2008 election, consider making a small donation at the BEAT BACK BUSH NEW MEXICO Act Blue page, a joint effort of the Democracy for New Mexico and blogs designed to counteract the fundraising machinery of Bush and the Republican right wing. Click to see previous posts on the effort. Air Force veteran George Boersig, 67, said he believes the war is about oil and money. Boersig, a member of the local Veterans for Peace group, carried a sign with a picture of Bush and the words, "Impeach Me: Clueless but Evil.'' "The only way to stop (the war) is to cut the funding. That's what we did in Vietnam and we need to do the same thing in Iraq and Afghanistan,'' Boersig said. To counter Domenici's windfall from Bush's fundraiser, visit BEAT BACK BUSH NEW MEXICO and donate a few bucks to the cause. Watch your tax dollars go down the drain in this Albuquerque Tribune raw video as Bush's motorcade full of "security" heads to the fundraiser for Domenici on a cleared Rio Grande Boulevard this morning. As the host of the fundraiser -- Los Ranchos' "Independent" Mayor Larry Abraham -- has said, the village of Los Ranchos won't pay a penny for the extra cops and other security -- residents of Albuquerque, Bernalillo County and other places will, by providing the extra details. Here are videos of the protests and more from KRQE News 13 and KOAT 7 News. Very sadly, one Rio Rancho police officer riding a motorcycle in Bush's motorcade paid with his life. He crashed into a tree near I-26 as Bush was on the way back to the Sunport. Germaine F. Casey, 40, left a wife and two children behind with his passing. If anyone else has photos or videos from the day, I'd be happy to post or link to them. There was an article in this morning's Albuquerque Journal about Bush's visit to Albuquerque today to raise money for Sen. Pete Domenici. Unfortunately, they quoted Domenici on his purported views on Iraq but failed to talk to the top Dem contender for the New Mexico seat, Don Wiviott. So I was glad to learn what Don has to say about Domenici still embracing Bush and dodging opportunities to change course on the war. Domenici may make some mild criticisms of the Bush strategy (or lack thereof), but he continues to vote with Bush 100% on the war. Albuquerque - On the day that President George W. Bush came to New Mexico to raise money for Senator Pete Domenici, the Don Wiviott for U.S. Senate campaign criticized the Washington incumbent for failing to vote to get the United States out of the Iraq War, despite his stated intentions to do so earlier this year. Note: If you agree with what Don Wiviott is saying, please contribute to his campaign TODAY to help counteract the Bush fundraising for Domenici. 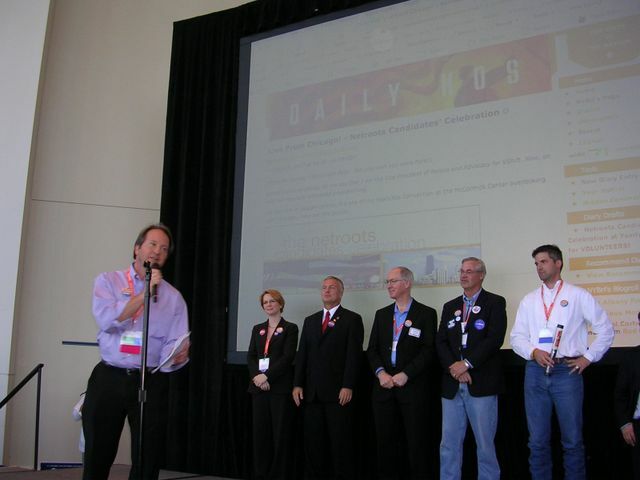 Support the local netroots' BEAT BACK BUSH NEW MEXICO campaign with a donation of any amount. We can't let Domenici be the only candidate getting campaign contributions on the day Alberto Gonzales resigned! 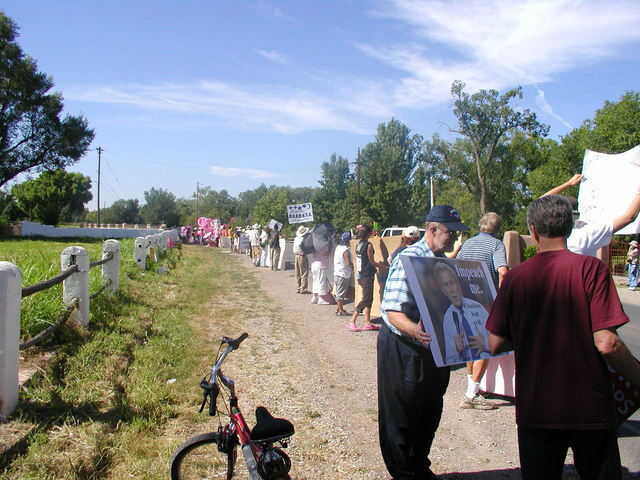 Learn more about the BEAT BACK BUSH NEW MEXICO campaign in my previous post. Beat Back Bush New Mexico! George Bush will be at a campaign fundraiser in Los Ranchos de Albuquerque today raising lots of money from Republican elites for "Pajama Pete" Domenici's reelection campaign. Last year Bush came to New Mexico and raised $375,000 for Rep. Heather Wilson the same way. Why? Domenici and Wilson have been among Bush's most loyal and obedient supporters, putting the neocon political agenda of Bush-Rove-Gonzales ahead of the real needs of New Mexicans, our troops, our Constitution, our environment, our health care system and our nation. Visits from Bush to raise big bucks for their campaigns are their reward, and a down payment on the continuation of his failed policies for years to come. Over the next couple days, members and supporters of the Democratic Party of New Mexico, AFSCME, Democracy for New Mexico, the Iraq Summer campaign, Albuquerque Code Pink, the Sierra Club and Stop the War Machine, as well as ordinary citizens and grassroots-netroots activists, will be staging protests, honking horns and attending rallies and vigils to remind Bush, Domenici and incumbent Repub Rep. Heather Wilson where New Mexicans stand on the Iraq occupation and other Bush failures. We need to end the Bush-era horrors. To do that, we need to elect Democrats to office who will address the critical problems we face with fresh strategies based on honest analysis -- and with genuine integrity and energy. On this historic day when Attorney General Alberto Gonzales has finally resigned in disgrace and Bush is in New Mexico to thank Domenici for services rendered, we can start the ball rolling by joining the Beat Back New Mexico grassroots surge, sponsored by the Democracy for New Mexico and New Mexico FBIHOP netroots communities. To win, our candidates need the means to compete against Domenici, Wilson and the Bush-crony fundraising machine. We can help them do just that by raising thousands of small donations from the progressive netroots here in New Mexico and across the nation to fund change in America from the ground up. Donate $5, $10, $20 or more right now at the Beat Back Bush New Mexico page at Act Blue and encourage your friends and family to do the same. Every single dollar counts when you donate to the campaigns of Martin Heinrich (above), who's running to take on Heather Wilson in New Mexico's first congressional district, and Don Wiviott (below), who's stepped forward to run against "Pajama Pete" Domenici. It's important to demonstrate and rally against the negative forces of Bush's disastrous presidency, but unless we do more to elect replacements for Bush rubberstamps like Domenici and Wilson, not much will change. Support Martin Heinrich and Don Wiviott NOW. Our ambitious goal is to raise $50,000 this week for each of their campaigns from thousands of activists dedicated to turning every state in the nation as BLUE as it can be. While Bush is in Albuquerque's North Valley today collecting $1000 and $5000 donations from the few, and Alberto Gonzales is holding his resignation press conference, you can be an integral part of the New Mexico netroots effort to show the power of small donations from the many. Be a part of Beat Back Bush New Mexico. Click away. NOTE: Also visit New Mexico FBIHOP for more on Beat Back Bush New Mexico.